Beautiful little capers from Italy on vinegar. These crisp and tart little gherkins are lovely to accompany drinks, in salads or to add a little bit of sourness to a dish. Known from the use in the North-African kitchen. The skin of the lemon becomes soft from the pickling and gives a lovely tart taste to vegetable dishes and soups. Pickled lemons are also amazing in stews. 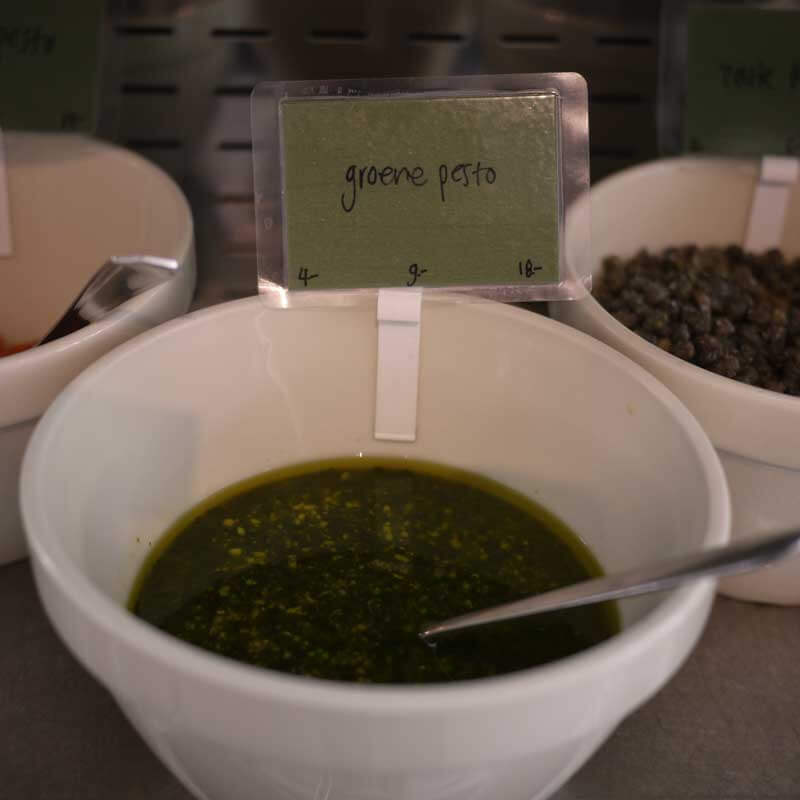 We make the pesto and tapenade instore, using the best ingredients. De Oliewinkel sells green pesto, red pesto, black tapenade and truffle tapenade. Salad dressing with mustard, Foggia fig-vinaigrette, Olive oil-balsamic-vinaigrette, Walnut oil-raspberry vinaigrette and our famous truffle-oil champagne vinaigrette. Tip: use a few drops of the truffle-oil champagne vinaigrette on cooked potatoes and you are in for a true taste sensation. Thin olive oil bread from Sardinia. Extra delicious if you warm it in the oven. The best Italian breadsticks (grissini) to accompany soup. 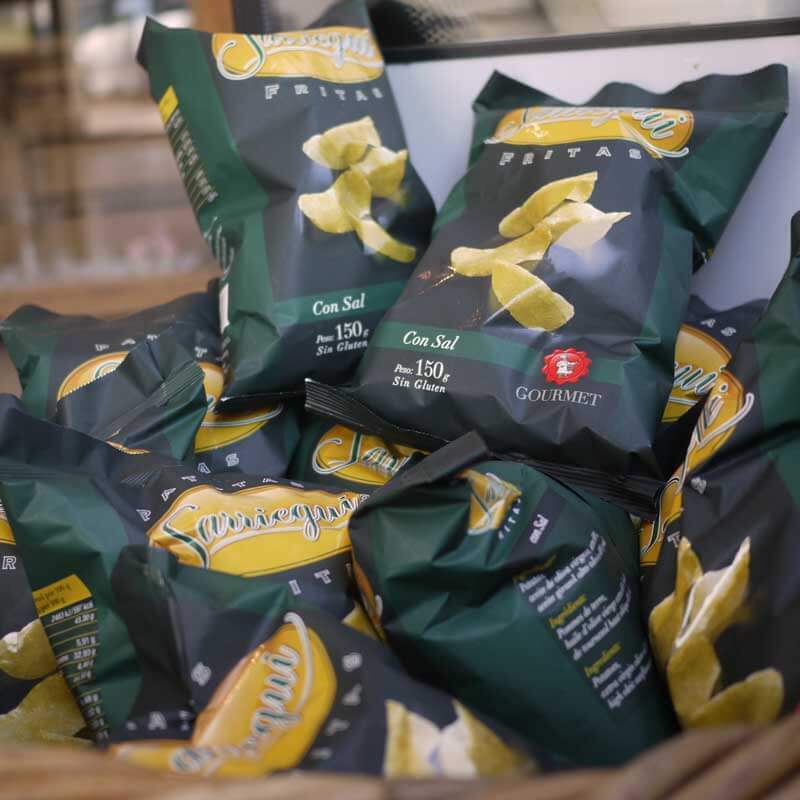 These special crisps are fried in olive oil and come from San Jeronimo in the Northern Spanish Basque Country. Addictively delicious. Crunchy Italian pieces of toast, baked in olive oil, ideal for aïoli or tapenade.